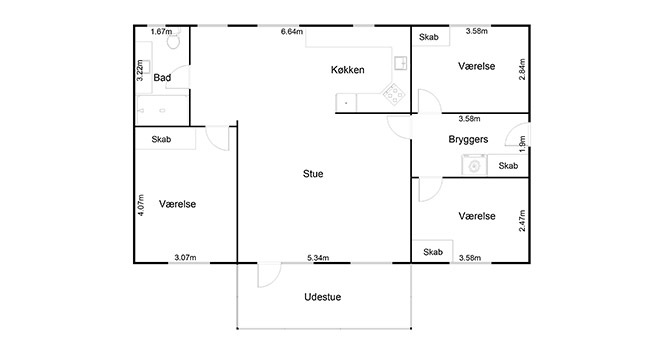 WHY COMPRISES A FLOOR PLAN? 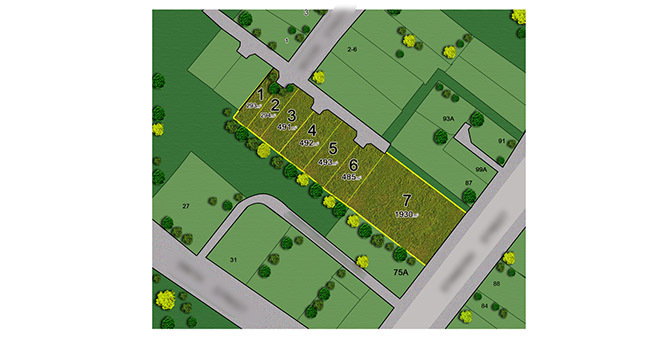 1 in 5 would overlook a property posting totally on the off chance that it did exclude a Floor Plan. Buyers need to see the property format, to imagine the stream of the rooms, how they fit in connection to others rooms and picture their furniture inside the home. 93% of buyers say they will probably invest energy taking a gander at a property with a floor arrangement. In case you're searching for the simple, straight-up floor plan to plainly showcase the home's format, then the 2D highly contrasting floor arrangement is the ideal choice. Clear, basic and simple to utilize, potential purchasers will earn an awesome comprehension of the home's format. Include an additional component of visual enthusiasm with a full shading 2D story arrangement. Potential purchasers will have the capacity to unmistakably imagine the design of the home from where their love seat could go to any conceivable expansions or redesign potential because of shaded rooms. Needing to utilize the floor plan to showcase the home's design as well as the elements, for example, flooring and outside space? A 2D textured floor arrangement will highlight these elements and give a great deal more detail to potential purchasers. Just about in the same class as strolling through the property, a 3D full shading floor arrangement demonstrates the home to a potential purchaser in more prominent subtle element. From exhibiting the deck moves to which way an entryway swings, a 3D full shading floor arrangement will flaunt a property and pull in top quality purchasers. Remove the perplexity from site arranges and let the group make straightforward and simple to utilize site arranges that will unmistakably exhibit the site's potential. A house is not a home without the right accessories in it. Wouldn’t you agree? After all it is the furniture and other small elements that give the home the identity it deserves. So when you take a photograph to the client it is very important that you give it a 3 dimensional look to give the feel of a home. This needs furniture, wall pictures etc to complete the scenario. Our designers can actually give that element of completeness to your property picture and thereby raising its standard in the sale market. Isn’t that a great way to make your home more saleable? Our designers guarantee a beautiful designer interior to the existing picture by expertly placing furniture and adding to the design element to the pictures. We place appropriate furniture and other additional knick knacks to give the element of a home for the client to understand the house with a 3D floor plan. This gives the prospective buyer an idea as to what the house will look like when lived in. isn’t that a great way to improve the look of your home? And so simple too as you will see from our team of experts who are interior designers with a difference. 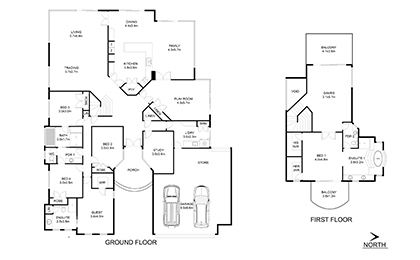 We offer 2D floor plans that convey a complete make-over to blueprints and complicated diagrams. 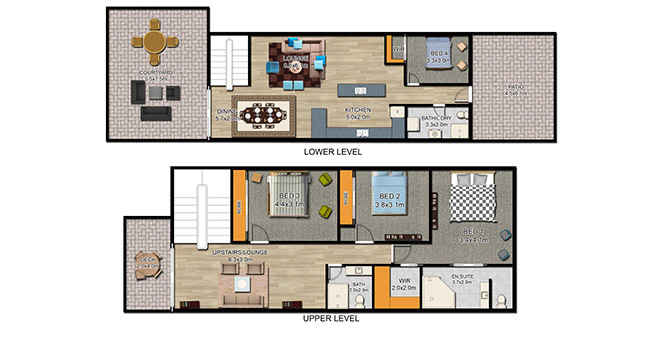 Our 2D floor plans are appealing and simplified presentations of your home or any real estate. 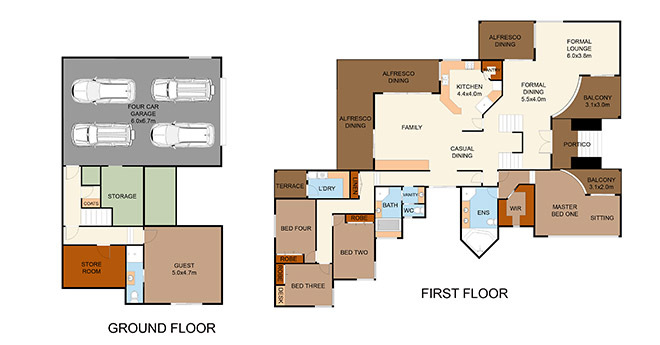 We specialize in illustrating 2D Color Floor Plan for real estate. We use colors to mark zones in the property that gives a better understanding of actual room layouts and clearly defines boundaries within the real estate. 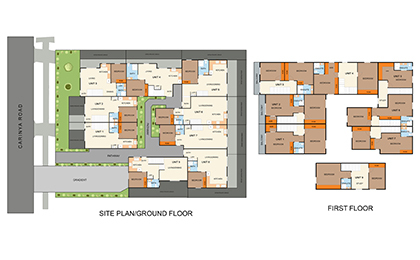 We offer 2D floor plans that convey a complete make-over to blueprints and complicated diagrams. 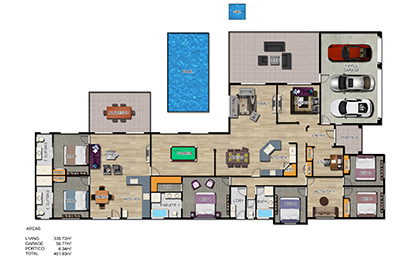 Our 2D floor plans are appealing and simplified presentations of your home or any real estate.Our 2D texture floor plan can help your clients you make a better buying decision. With techniques of using textures to floor plans, we give depth to elevations and create excellent illustration of buildings. 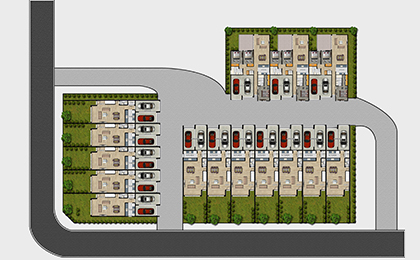 We offer creation of 2D site plans and personalize them to suit your requirement. We provide simple, but high-quality, visual overview of your home or any real estate property which are suitable for online and print. 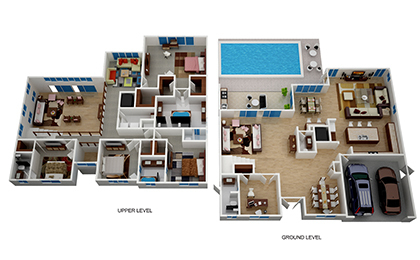 Provides you with a stunning overview of your floor plan layout in 3D. 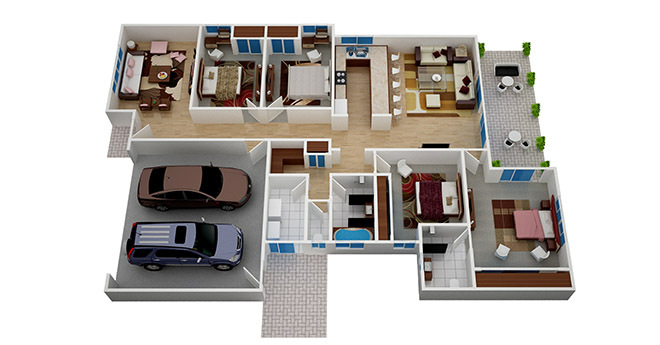 Our 3D Floor Plans gives a better understanding of the props, color, texture and use of space.